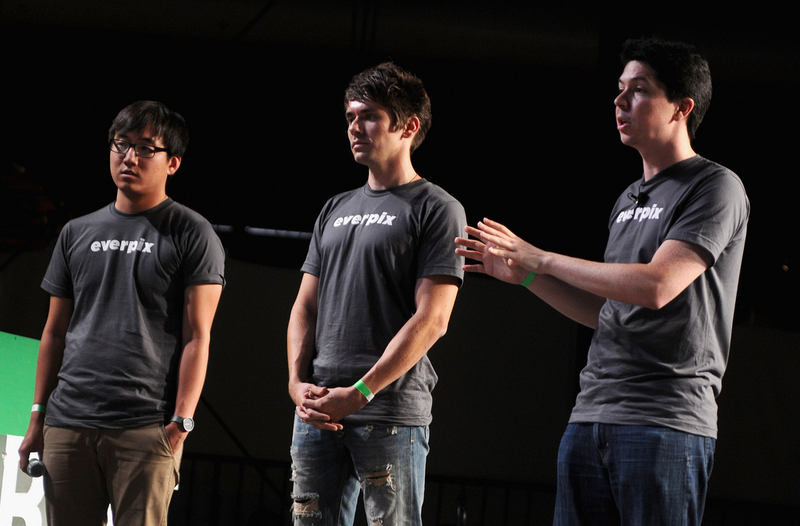 TechCrunch Disrupt finalist Everpix is a new service that automatically organizes and combines all your photo libraries into an elegant interface, whether they’re stored on the desktop or in the cloud. It supports traditional desktop software programs, like Adobe Lightroom, Aperture and iPhoto, for example, as well as online services like Facebook, Flickr, Picasa and Instagram. It will soon be able to automatically upload photos from all your mobile devices, too. And it even supports integration with Gmail. Everpix runs as a little utility on your computer (Mac-only for now), fetching the photos from online services and local galleries. You can configure which folders it should monitor, so it won’t import all the photos on your hard drive, and the online services you use. With the Gmail integration, Everpix discovers the photos sent you via email and organizes them along with the others. In a later release, IMAP support will be added to support other email programs. 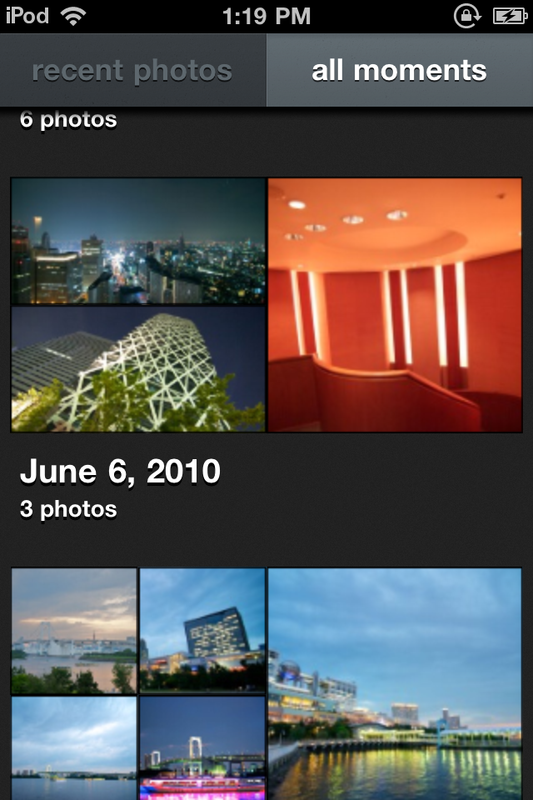 After the photos are imported, Everpix uses a feature called “assistive curating” to create attractively laid-out album groupings called “Moments.” These are similar to iPhoto’s “Events,” but are built for you automatically, which saves you from the hassle of album creation and organization. Not surprisingly, you can see an Apple-like design aesthetic here, given that two of Everpix’s Co-founders, Pierre-Olivier Latour and Kevin Quennesson, each spent several years with the company. Meanwhile, the third Co-founder, Wayne Fan, was previously at frog design. The service can also detect bad photos, like those that are blurry, out of focus, or under or overexposed. These photos are automatically hidden from view, but you can choose to unhide them, if desired. By default, all photos on Everpix’s Web interface are private, but you can make a collection public with just one click, or you can simply click which photos in a collection you want to share. Everpix includes a social component, too, allowing you to connect with other users, like family members for example, so you can immediately see their new photos without any need for them to first organize them, email them, or upload them to a service like Facebook. The best part about Everpix, however, may be it’s “set it and forget it” nature. After the one-time installation and configuration, there’s nothing else you have to do. You can continue to work with your photos as you would normally, saving them to your same folders, uploading the ones you want to share to the services you prefer, etc. 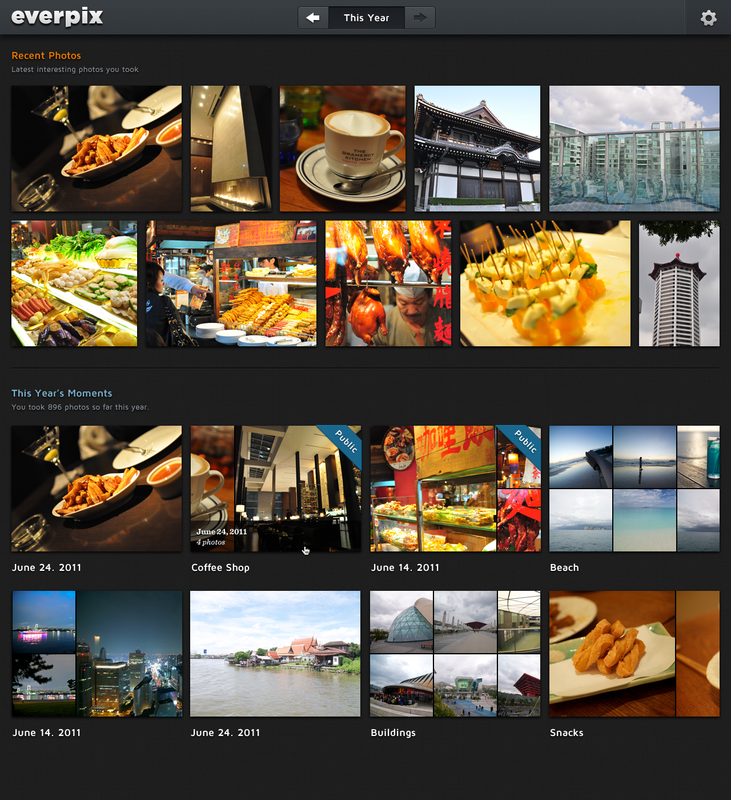 But when you want to refer back to your entire photo collection, Everpix is there, with every photo you ever took in one central interface, available on the Web or, soon, on mobile. Everpix will launch first for Mac and iOS, with support for online services limited to Facebook and Gmail initially. Windows and Android versions are in the works. The company’s business model will be freemium, but the pricing structure has not yet been determined. The company, which was founded under the name “33Cube,” is currently in the process of raising seed funding from 500 Startups and other unnamed angel investors. You can sign up to participate in the private alpha on the Everpix homepage here. 100 people, chosen at random, will be invited to join the early tests. DM: Looks beautiful, but rubbed the wrong way by name “Everpix.” Also, I’m Path investor. Not entirely original. What’s the longer term vision? A: We want to build something where you get a bunch of photos and we extract the best ones. JS: It’s 2011, but there’s yet to be a photo-sharing service with returns investors would look for. How to be something we need? Do people care about long-term photo storage? A: So many people use email for photo-sharing. But we grab photos from all your devices too. You don’t have to change your behavior – if you email photos, that’s fine. They’re all in Everpix’s cloud. AL: Who is initial target market? A: Everyone who doesn’t want to hassle with photos. MP: Business model? Infinite storage? A: Freemium, we don’t know limit yet.